Did you unexpectedly get a promotion at work? Or did you find out you were expecting? These are moments that need to be celebrated! It won’t take much to throw an impromptu party. Decorations – Light decorations are key here. You don’t want to stress or overexert yourself. Put out some fresh flowers and hang up a small lights for when it gets dark. Food – Keep things simple by making simple appetizers and finger foods. 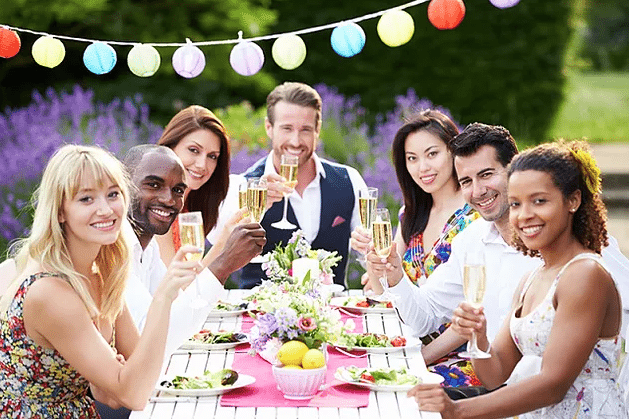 Take all the stress out of it by having your party catered. Entertainment – Some lowered music in the background would be great so as it won’t disturb the conversation. You could even designate a dancing area or room and crank it up in there. For a fun little game you could put together a riddle out of some objects or words and make your guests guess what you’re celebrating. Hire J. Render’s BBQ to get your guests into the party mood. Because nothing says a good time like the taste of delicious bbq. Contact J. Render’s for their catering services at 859-533-9777.